(MENAFN - Asia Times) - Investment relations between China and the European Union have become increasingly complex. After the approval of a framework to , which is particularly aimed at Chinese investors, the EU has proposed to reform the investor-state-dispute-settlement system, a move that could further complicate already fraught negotiations with Beijing over a bilateral investment protection agreement, as well as their dialogue on the Belt and Road Initiative’s implementation in Europe. Investment disputes between foreign actors and host countries are usually regulated by bilateral and multilateral agreements. In essence, the concerned parties pick the arbitration or litigation venue – usually a specialized investment tribunal established under rules set by the United Nations or the World Bank – and which law to apply. Europe’s proposal is modeled after a new investment court system included in its free trade and investment protection agreements with Canada, Singapore, Vietnam and Mexico. China may be considering a different approach, promoting its own forums to resolve cross-border investment controversies, particularly those related to Chinese President Xi Jinping’s Belt and Road scheme to boost Eurasian integration and connectivity. Last summer, the Supreme People’s Court of China (SPC) established two tribunals to resolve international commercial disputes, the first in Xi’an and the other in Shenzhen. They are intended to provide for the realization of the New Silk Roads, even though their jurisdiction, namely the type of cases they can accept, is greater than Belt and Road deals, as emphasized by Susan Finder, an expert on Chinese law at Peking University’s School of Transnational Law and a member of the SPC’s Expert Committee to the China International Commercial Courts. Europe is an essential part of Xi’s Belt and Road strategy, and a significant recipient of Chinese foreign direct investment. Furthermore, the EU has its own stake in the Chinese mega-project. Many European states have joined the China-backed Asian Infrastructure Investment Bank, which supports Belt and Road, while the European Investment Bank and the European Bank for Reconstruction and Development are co-financing some of its projects. China’s Leading Group for Deepening Overall Reform, a political body chaired by Xi, stressed in January that the country’s international commercial courts were going to be shaped according to Chinese existing judicial, mediation and arbitration institutions. That could be cause for concern for the EU, which is seeking a for cross-border investments, including possibly those related to Belt and Road. She touched a raw nerve, as some speculate the jurisdiction of the Chinese international commercial courts will probably be accepted by those countries involved in the Belt and Road Initiative that have heavily benefited from Chinese loans and investments, including those in Europe. David Yu, adjunct professor of finance at Shanghai’s New York University, said China’s international commercial courts should be judged in the long term, as they are new venues for dispute resolutions, and like all new endeavors, it will take some time to bring concerned parties to use them. The same happened with other China-based arbitration centers, such as the Shenzhen Court of International Arbitration, which has now gained acceptance, insisted Yu. Could the two systems coexist? As to whether China should support the EU’s bid for a multilateral investment court, Yu said that newer and better systems of resolution were always a good thing and should be supported. Some suggest the new Chinese international commercial courts could coexist with a permanent multilateral investment tribunal, as only commercial disputes would be within their jurisdiction. This means that investor-state dispute settlement cases arising from treaties would be excluded, and only cases arising out of contracts between an investor and a host government could be covered by the courts in Xi’an and Shenzhen. 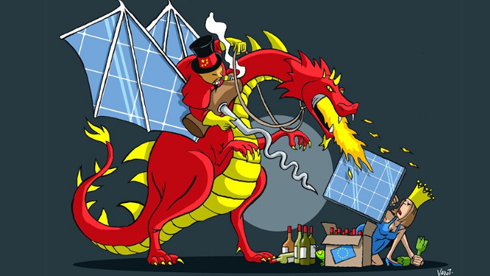 But Chinese investments in Europe under the Belt and Road framework, and potential disputes that could arise from them, are nonetheless a problem for the EU grouping, which only the finalization of a bilateral investment agreement could help to solve. The 19th round of talks on the issue took place in Beijing last October. The two sides said they had made progress on both state-to-state and investor-to-state dispute settlement, but the reality is that this process has been dragging on since 2013.